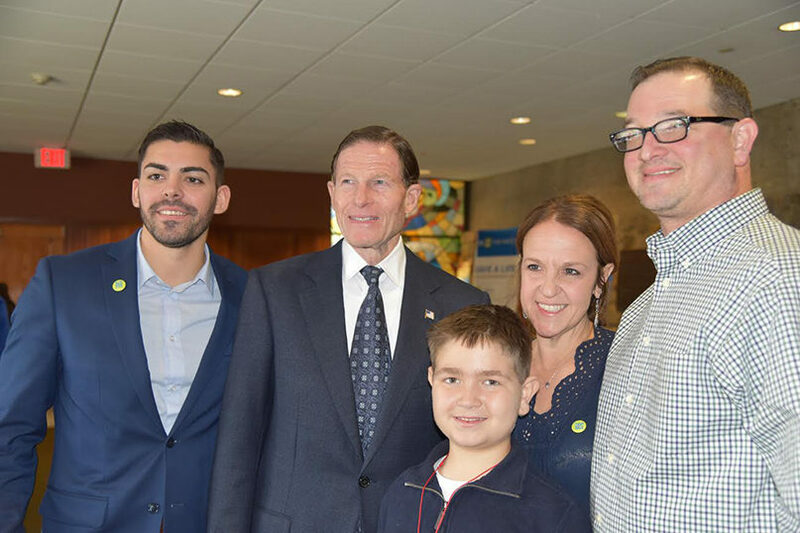 Senator Richard Blumenthal greets (l to r) Jon DeCasanova, and Emmet, Lisa and Jeffrey Manheim at Temple Beth El in Stamford. 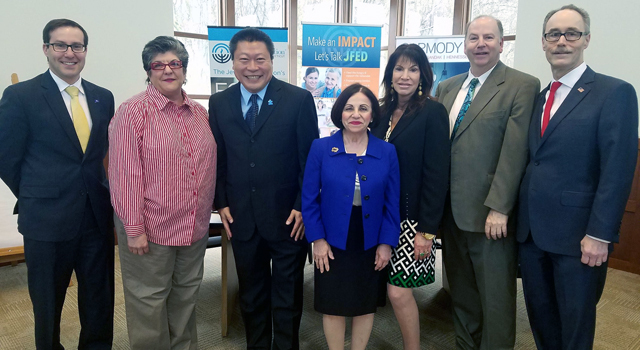 DeCasanova was on hand at Beth El recently, to talk about Be The Match, an organization that matches bone marrow donors to patients who are afflicted with about 70 diseases, including lymphoma, leukemia and aplastic anemia. Both Jon and Emmet were recipients of bone marrow transplants.